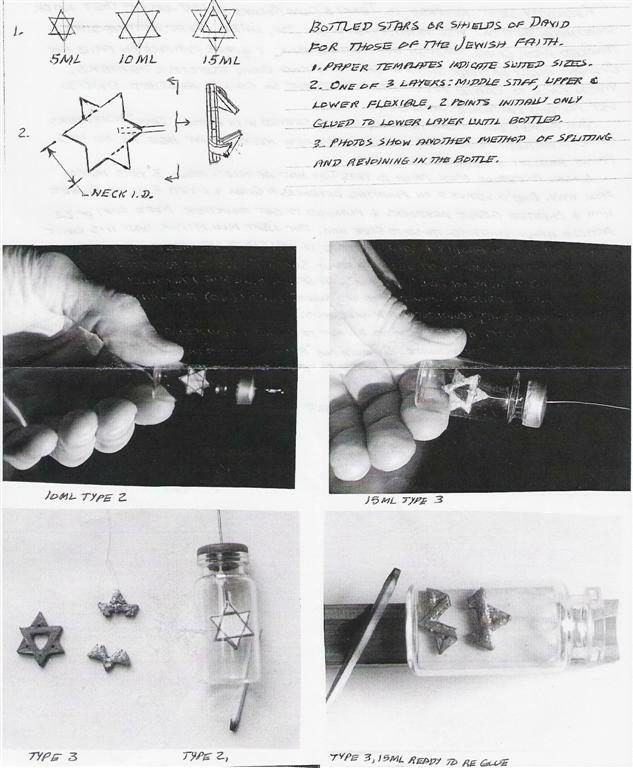 Folk Art In Bottles - Build a Star of David - by Charles Hand, Jr. Build a Star of David - by Charles Hand, Jr.
- by Charles A. Hand, Jr. This is a relatively simple, yet delightful drawing with a plan for building a Star or Shield of David in small vials. The plan is designed for various sizes.